Born in Gasteiz (Basque Country) in 1959, Lorena graduated from the University of Geneva as a Translator and Conference Interpreter. She worked in many institutions such as the European Parliament and NATO. From August 2007 until December 2010 she was a member of the Regional Government of Araba as head of the Regional Ministry of Culture, Basque Language and Sports. 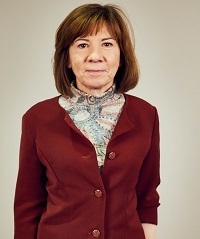 Since 2010, Lorena has been the Secretary for International Relations at EA. In 2011 she became member of the regional Parliament of Araba (Bildu Coalition). 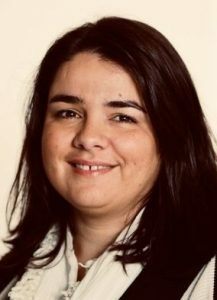 Lorena has been Vice-President of the Alkartasuna Foundation and of Eurobask (Basque Council of the European Movement) since February 2012. She speaks 7 languages. Since 2013 she is a member of the EFA Bureau. 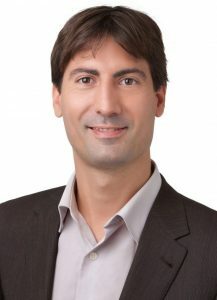 Born in Caldes de Montbui (Catalunya) in 1976, Jordi Solé has been Mayor of Caldes de Montbui, Barcelona, since 2007. 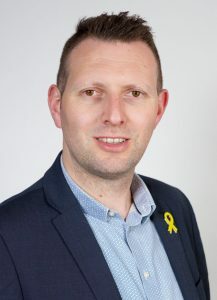 He was assistent to several Catalan MEP’s from 2002 to 2007 and became ERC’s Deputy Secretary-General for Institutional and International Relations in 2011. From 2012 to 2015, Jordi was a Member of the Catalan Parliament. Since January 2017, he has been an MEP himself for ERC. Since 2016 he seats in the EFA Bureau as secretary-general until he became President of EFA in December 2018. 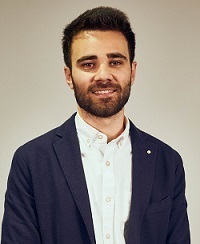 Jordi holds a degree in Political Science (Universitat Autònoma de Barcelona) and Master in European Studies (Europa Universität Viadrina, Frankfurt Oder, Germany). Anke Spoorendonk belongs to the Danish minority in Southern Schleswig. Since 1996, she has been on the national SSW executive board. From 1990 to 1996, Anke was councillor of the district of Schleswig-Flensburg. From 1996 to 2012, she was a member of the Schleswig-Holstein Parliament. Until 2009, she was the president of the SSW parliamentary group. From 2012 to 2017, Spoorendonk was Minister of Justice, Europe and Culture in the government of Schleswig-Holstein. Anke studied German language and history in Copenhagen and graduated in 1976 as Master of Arts. She was a teacher for several years before starting her political career. 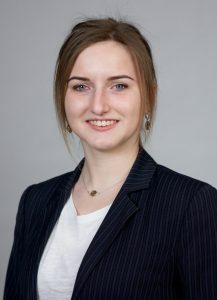 Born 1994, Marta has been involved with RAS since 2011, and most recently she has also been active with SPR, a new Silesian Regional party. Marta has been involved in organising charity events and collaborating with organisations such as Pro Loquela Silesiana. 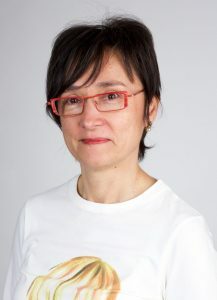 She joined the EFA Bureau in January 2018. Marta graduated from the University of Silesia and the University of Barcelona Abat Oliba, where she studied sociology, social sciences and humanities. Currently, she is writing her PhD in interdisciplinary doctoral studies, specialising in national and ethnic minorities. Born 1985 in Skarsterlân (Fryslân), Olrik Bouma studied International and European Law in Groningen. He was active in the Fryske Nasjonale Partij (FNP) before starting an internship with EFA in 2011. Following that, he completed an internship for the Coppieters Foundation, EFA’s political foundation. In 2013, Olrik started working as the coordinator and Secretary-General for EFA Youth (EFAy). With his work for all three different organisations within the EFA family, he has become very acquainted with the staff members in the Brussels offices. He is the successor in the EFA Bureau of Sybren Posthumus and Roelof Falkena who represented FNP as founding member of EFA in our Bureau since the beginning. Born in 1960, Anders Eriksson is an entrepreneur and one of the co-founders of Ålands Framtid (Ålands Future) and is a long-standing member of the Åland Island Parliament (Lagting), where he sat from 1987 until 1991, when he became Minister of Industry at the Åland Government (Landskapsregering), a position he held from until 1999. Anders was re-elected member of Parliament in 2003, where he remained until 2015. 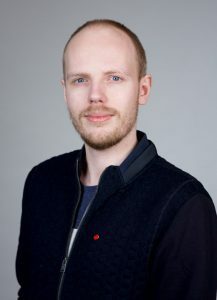 Anders was also the representative of Alands Framtid to the Nordic Council and member of the EFA Bureau representing his party and the interest of North Europe. 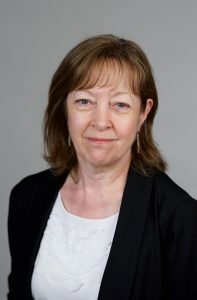 Born 1959 in Rhondda, Jill was a councillor for seven years: at the former Rhondda Borough and Mid Glamorgan County Councils and later at Rhondda Cynon Taff County Borough Council. She was elected as Plaid Cymru's Alternate Member of the Committee of the Regions in 1993 and served for four years. Jill was Chair of Plaid Cymru between 1994 and 1996. In June 1999 she was elected as a Member of the European Parliament for Wales. 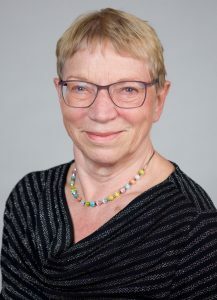 She was re-elected as MEP in 2004, 2009 and 2014 and has worked for the defence of the Welsh language but was also a respected member of the Environment committe of the EP. Jill was President of the EFA Group from 2009 to 2014. Jill holds a Master’s Degree in Philosophy from Aberystwyth University. Born in Burjassot (País Valencià) in 1993. Fernando is graduated in Economics by the Universitat de València and holds a Master in Public Management by the Universitat Autònoma de Barcelona. During his university studies, he spent a year abroad in Universität Paderborn (Germany). In 2016-2017, he had a working experience in the European Parliament, completing some internships for the Greens/EFA group and MEPs. Currently, Fernando is working in Burjassot's City Council as a political advisor for BLOC-Compromís group as well as being active in Joves PV, the youth organization of Bloc Nacionalista Valencià. Born in Lorient (Brittany) in 1990, Victor Gallou is a Breton from Polish origin. He studied right of local authorities in University of South Brittany (UBS) in Vannes, and has several professional experiences in working for municipalities. Member of UDB since 2010 and Spokesman for international affairs of UDB since 2014, Victor Gallou has always had a strong commitment to the solidarity between the minority and stateless nations in Europe. Former vice-president of EFAYouth in charge of selfdetermination issues, he is also involved in youth, institutional and social justice issues. As a member of the Celtic Community and a sport fan, Victor Gallou actively takes part to the promotion and development of Gaelic Football, an irish popular sport, as President of the Gaelic Football Club of Lorient. 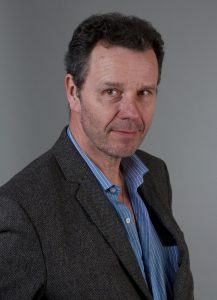 Born 1958 in Chinon, David is a journalist/ activist for the preservation and promotion of Occitan. A pioneer of TV broadcasts in Occitan in the early 80s, he co-founded Occitan programmes on France 3 (a regional TV), and participated in the creation of Ràdio País, an Occitan channel. He also translated several books into Occitan. Until 2010, David was President of the Institute of Occitan studies. He was elected regional Councillor in 2010. In 2015, David helped found the Public Office for the Promotion of Occitan language (OPLO), of which he was appointed President. In May 2015, he started a hunger strike to force the French government to keep its promises. His fight was successful. David is President of the Committee of regional languages at the French Assembly of regions. Born in 1981 in Antwerp, Wouter Patho was a history and geography teacher for 7 years in a secondary school. Wouter joined N-VA at its very beginning. He became member of the Board of the N-VA Youth wing, where he was involved in Flemish and Republican action, political education and international contacts. In 2009 Wouter became assistant to MEP Frieda Brepoels, where he worked in close cooperation with the members of bureau of EFA. Today he works alongside MEP Mark Demesmaeker. 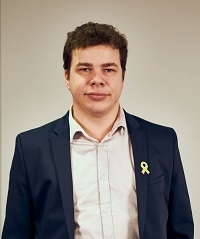 Wouter is an elected member of the local council of Malle, where he is responsible for social affairs and housing policy as president of the Public Centre for Social Welfare. 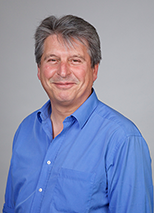 He is member of the EFA Bureau since 2014. Nelida Pogačić was elected member of the EFA Bureau for a term of three years in the EFA General Assembly that took place in Brussels during 7-9 March 2019. 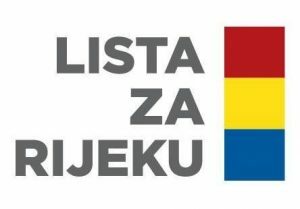 She is member of the Supervisory Board of Lista Za Rijeku. Born in Bastia (Corsica) in 1985. After a Master in Mathematics at the University of Corsica, Anne became a Math teacher. She is involved in teaching in the Corsican Language in high schools. Anne was one of the co-founders of PNC Youth in 2010, and became immediately one of the Youth representative in the national executive committee of PNC. In 2015, she left PNC Youth and became a full member on PNC’s executive committee. She is responsible for international relationships since 2018 and elected member of Corsican Assembly since 2017.